Do what makes you come alive – and don’t bother about what the world has to say. Many a time, we make choices cautiously wanting them to be correct and acceptable in a social context. So, while we may not be entirely happy doing what we have chosen to do, we end up doing it to maintain our status or wanting to “look good” among family, friends and peers. This kind of posturing may make us look socially appropriate but almost always leaves us totally unhappy. Happiness really is about being able to say and do what you really want to and what you love doing! 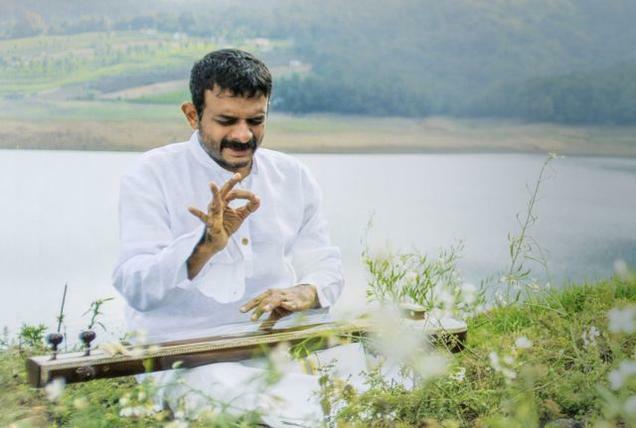 T.M.Krishna is in the news again. This time for his choice of not wanting to perform in the December Music Season in Chennai anymore. Obviously his fans are upset. But there are those too who think Krishna’s lost it, that he’s become arrogant and that all this “drama” is part of his “radical, sensational” marketing strategy. Some even term his recent choices and actions gimmickry. I think everyone’s being judgmental here and in a sense some people are surely being unfair to Krishna. Undoubtedly Krishna is a public figure, an exceptionally talented singer with divinity oozing in his craft – so his fans do expect him to be a certain way. Historically, the Chennai Music Season is the Haj of Carnatic Music – people give an arm and a leg to perform here. So, it does seem so very strange and unusual that a singer who grew in acclaim, thanks to the performances at the Season over the years, should now choose to stay away from it. The best way to look at Krishna’s choice is to see it exactly the way it is – as an unusual one! Let’s not color it with any opinion. Also, excuse me, isn’t there a personal choice that we all have a right to make? Is it necessary that you must always be wedded to doing things a certain way and in ways in which everyone else is doing them? I personally feel Krishna’s choice is driven by his bliss – he is going wherever his music – the music within him – is taking him. And that is indeed the way to live Life. To be able to do what makes you come alive. To do what you love doing. When we live for social gratification, when we live to “look good”, we are not living – we are merely existing. We suffer, we feel miserable and we eventually lead hollow lives. Is there a point in such living? All you have is this one lifetime. And if you can’t live it the way you want to, doing what you love, what is the point? As Frank Sinatra sang (‘This is all I Ask’, April 1965) so beautifully, “And let the music play as long as there’s a song to sing.” So, whoever you are, be inspired by Sinatra, be inspired by Krishna, go where your music is taking you, don’t bother about what the world is saying. Ultimately, it’s your Life! When you can’t relate to someone, just move on. There’s no point in clinging on to the relationship when there’s no relating between you and the other person. A friend has filed for divorce. She’s taken this decision after realizing that she can’t make the marriage work. She says she gave it time and a few chances. But she only found herself growing more distant and disengaged with her husband. I feel she has done the right thing. Her’s is a classic situation where the relating is missing in the relationship. But everyone, from her family to her close friends, is blaming her for moving too fast to ‘end the relationship’. They want her to give it some more time. Now, this is where people wanting to separate must be clear – society, family, even courts cannot be, and must not be, allowed to decide for you. To be sure, a matter goes beyond a couple and requires reconciliation by a third party only because the two people in question have stopped relating to each other and therefore find it impossible to have a meaningful conversation. So, if someone has decided to move on, they must be allowed to. It is far more important that you are happy and peaceful within yourself than trying to sustain a relationship, for society’s or family’s sake, that has been dead for a long, long time. When people with children are separating, they must realize and respect the fact that each of them has a right over the child’s development and welfare. You cannot let your individual differences with your erstwhile spouse drive you to deny that person visiting or parenting rights. So, when children are involved, exercise maturity. Look at the whole situation very practically. Very matter of factly. Here’s a crisp set of thoughts that you must visit: You cannot live with your spouse any more. So separate. But give your child’s other parent as much right as you would seek over your child. Agree on a workable plan involving your child with your estranged spouse. Both of you go tell the court what the arrangement is and get your divorce decree. It is as simple as that. I guess most couples complicate the process of separation and divorce because they are still hurting over what happened. Maybe they feel rejected. Maybe they feel cheated. Or simply let down. And they want to get even. They want to avenge. Or they want the money – part of the estate or alimony. There’s nothing wrong in feeling angry and sorry with the situation. But can anger or grief help you in any way? There’s no harm also in working on the financial framework for the separation. But why fight over arriving at such a framework. Why be emotional? If you have decided to move on, let the process be shorn of anger, grief, scorn and blame. In fact, take a few weeks off. Don’t do anything. Don’t mediate. Don’t counter argue. Don’t berate. Just let things be. After a few weeks if you still wish to proceed with the separation and/or divorce process, just do it clinically, unemotionally. Consider this: isn’t it better you end a relationship that has drained you than fight over it? Isn’t it better that you and the other person give each other space and dignity – after all you spent quality time knowing each other and living with each other? Simply, to separate from someone you can’t relate too is the most sensible thing to do. Just don’t make the separation acrimonious and miserable for everyone – especially for the children. Do it with focus, with compassion and with a win-win attitude. The best gift you can give your child is a happy marriage with your spouse. Now, if you can’t give that gift, for whatever reason, make sure you don’t take away your child’s happiness! Why do you insist on making your Life miserable? If you are feeling miserable about something or someone, you are causing that misery in yourself. Whenever you feel miserable it is natural to blame the circumstances or the people that are causing you grief for all your misery. This only accentuates your suffering. Instead if you examine your feeling of misery closely, you will realize that whatever is upsetting you, whatever is making you sad and depressed, is just there. It is either an event or a person – and how and why they are there in your Life is beyond your control. The truth is they are there. And the other irrefutable truth is that they are causing you pain. You invite misery by wishing that they are not there in the first place. Now how can that be possible? Because they are already there. They have already arrived. Your wishing is not going to alter the reality of their presence! This perspective is applicable in all situations. You have lost your job and you are trying hard but you are not getting another one. 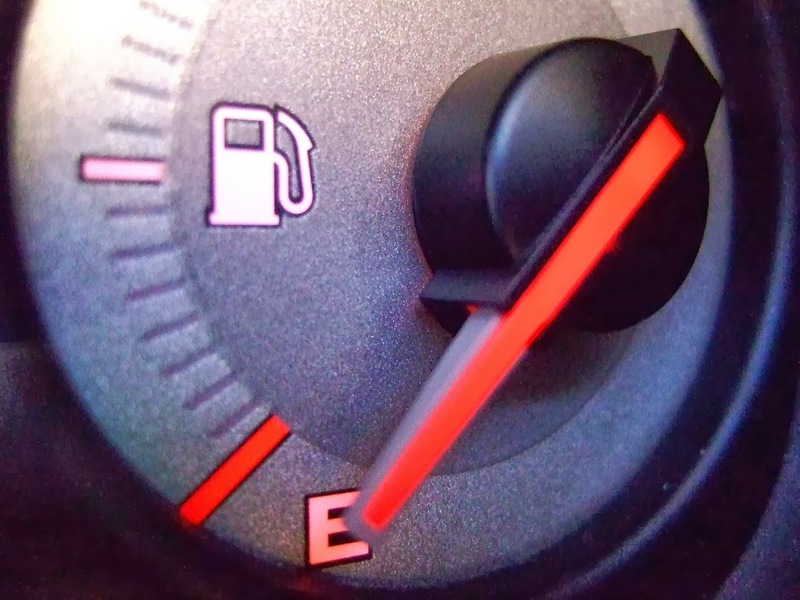 The job loss event has happened and the job search is presently futile – these are two events, two realities, that are causing you pain. Neither reality was or is in your control. But if you keep wishing why you lost your job, or why you can’t find another one, you will be miserable. It’s like asking why someone is dead, why someone is no more. What’s the point? Death happens. If there is birth, death will follow. So it is with all situations. Things just happen – and some of them end up bringing you pain. Or people around you behave insensitively causing you pain. Why things happen the way they do or why people behave the way they do – both are not in your control. Drop all expectations that your Life must conform to your wishes. Then there will just be pain, and you will not feel miserable. Pain, in fact, is beautiful. It is always warning you that there’s something wrong with your Life. Now, when you hate the presence of pain, you feel miserable. In misery, you cannot think clearly because you are always wishing that your Life is different from what it is. Instead, if you drop all expectations and decide to simply deal with the pain, and whatever is causing you pain, you will not suffer. Make your efforts to eradicate the source of pain. But again without expectations that the pain will cease just because you have worked on it. Chances are it may cease. And chances are it may linger on. So, just make the effort and leave the result to Life. This is the principal message of the Bhagavad Gita too – do not worry about outcomes, just focus on the effort! Remember this: whatever happens in Life, you cannot change any reality by merely wishing it away. Either you have to work on changing things and hopefully you will succeed. Or you are going to have to accept your Life for what it is. In either situation, misery and suffering are not what Life delivers to you. These are what you invite into your Life when you resist whatever you are faced with. Surely, feeling miserable is not something anyone can enjoy or live with. 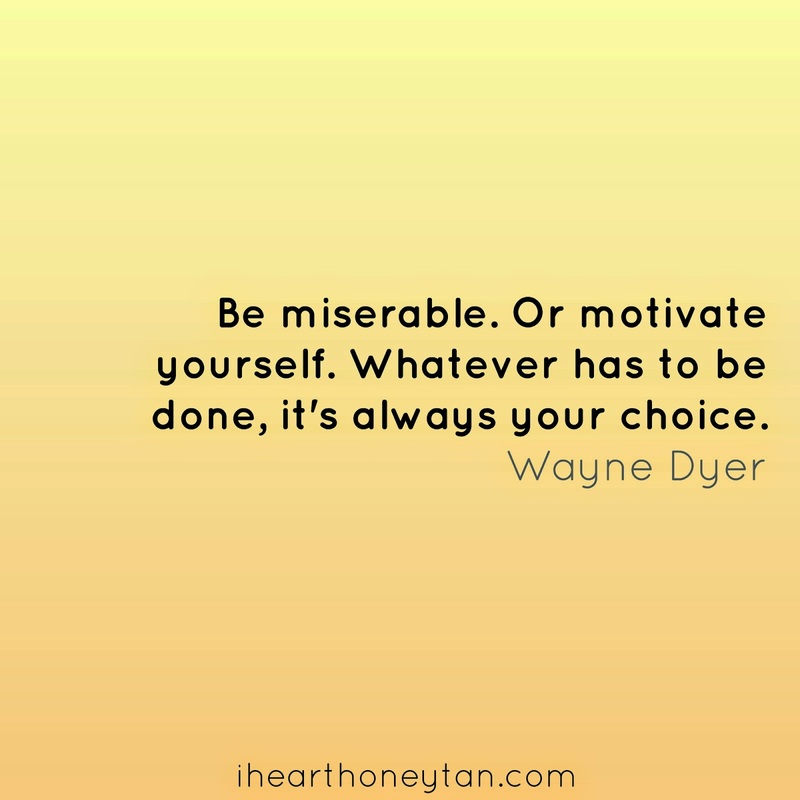 So, why do you insist on making your Life miserable in the first place? Author AVIS ViswanathanPosted on September 2, 2014 March 14, 2016 Categories Art of Living, http://schemas.google.com/blogger/2008/kind#post, Inner Peace, Intelligent Living, Miserable, Pain, SufferingLeave a comment on Why do you insist on making your Life miserable? 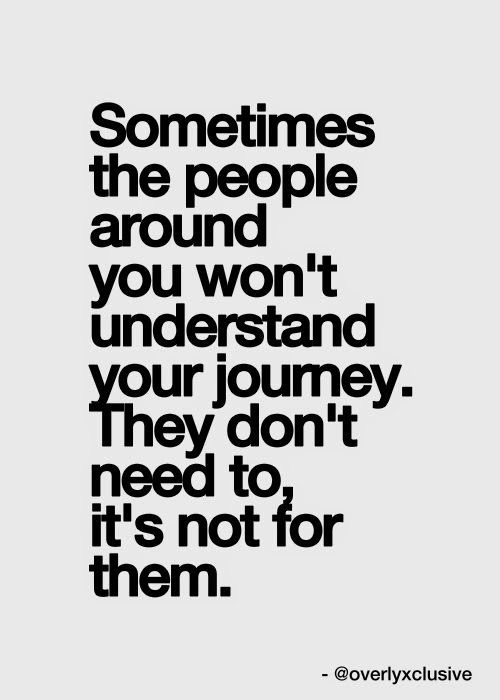 Seeking to be understood by people who refuse to understand you is a sure way to make yourself feel miserable. When you crave for understanding from people, it is actually your ego which is rearing its ugly head. Craving is desire. When you desire to be understood you are actually saying: “How dare someone draw a different inference from what I intend?” or “How can someone speak to ME like that?” or “I have done so much for this person and yet this person is so ungrateful!”. You don’t need to kill that craving in you. All you need to know is that each person is entitled to his or her own opinions and behavior. Quite naturally, it is an extremely painful process to allow people to be the way they are. Especially when you are having to live and work with them. Then the only option to consider is if you really want to live and work with that someone. If you have to, you must stop complaining about that person – that’s the only way you can be at peace with yourself in such a context. If you don’t have to live with that someone, simple, disassociate. You may well wonder, how can you disassociate from a parent, sibling, spouse or dear friend? I have faced such a situation a few times in Life. And the best way to disassociate, I have learnt, is to just keep quiet. Try and work out a physical dissociation but in any case, choose to be disengaged and quiet. In the face of all provocation, don’t respond. Your silence may be seen as your weakness – but it is your greatest weapon in reality. And it is not a weapon that can destruct. It actually arrests any further damage. Disassociation does not mean you must sulk. You can be still engaged at a courtesy or social level. A hi and a bye never does anyone any harm. But you don’t need to engage in such a way that you have to crave to be understood. Nor will there be a situation warranting an understanding when there is no engagement! Think about it – it works! At least, it has worked for me. When you operate with this logic, your ego will not run amok and you will not suffer. When you don’t operate from your egoistic core, you will tame any craving. When the mind ceases to crave, it finds peace. And peace always delivers joy! No mistake is a sin – don’t get stuck feeling guilty! Guilt cripples you. Let go of your guilt, forgive yourself, and move on! Often times in Life we do make mistakes. And the cost of those mistakes ends up being very high. In private, when you are alone, your guilt will cause you immense suffering – just the realization, that with some prudence you could have avoided making that mistake, will make you feel miserable. When you have come to that realization, don’t belabor the guilt. Let it go. Forgive yourself. Whatever be the context or situation of your guilt, whether it is to yourself, or to another, apologize sincerely. If you have hurt another person and that person is not willing to accept your apology, don’t grieve. Let your effort be sincere. Present your apology to the Universe, to a Higher Energy. The key is to understand that guilt is like excess baggage. You can’t move freely carrying a burden in you. The baggage has to be set down, it has to be offloaded. Only then can you make way of inner peace. Only then can you ascend in Life! Don’t go on this trip to condemn yourself for what you have done or caused. No amount of guilt can change the past. 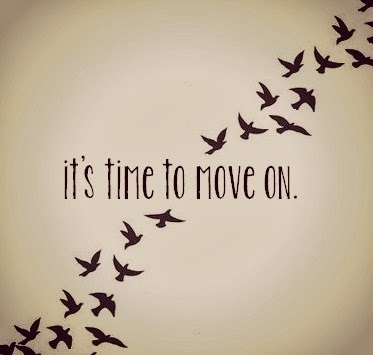 The past is over. It’s dead. Your guilt will only heighten your suffering. 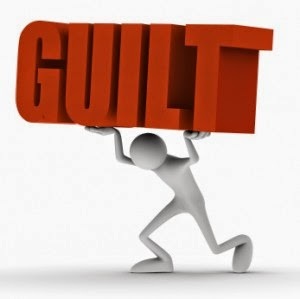 Feeling guilty is not the same as atoning for your mistake. Guilt is a personal, selfish emotion. Atonement is selfless and seeks ways and means beyond the individual to express itself. If you can atone, well, that’s great. But even if you can’t atone, dropping your guilt is a good way to progress. No mistake is a sin. It is just a sign that you need to pause and reflect on your actions, on their consequences, on Life and on the learnings it is offering you. You may well have to face the consequences of your actions, you may have to pay the price for your mistakes, you may have to learn your lessons the hard way. Seeking forgiveness is the first step, however, to move on – and, hopefully, to repair and rebuild. So, don’t get stuck feeling guilty! There’s a lot more to experience and learn from Life – just remember, if you genuinely feel guilty over what happened, don’t repeat the same mistake another time! Author AVIS ViswanathanPosted on April 6, 2014 March 14, 2016 Categories Art of Living, Baggage, Burden, http://schemas.google.com/blogger/2008/kind#post, Inner Peace, Intelligent Living, Miserable, Mistake, Sin, SufferingLeave a comment on No mistake is a sin – don’t get stuck feeling guilty! Don’t let resentment and anger, over a betrayal, breed within you. Reach out, seek closure and move on. Whenever you are wronged, especially by someone whom you have trusted, the hurt doesn’t go away easily. It continues to haunt you and causes you intense agony. People will encourage you to forgive. 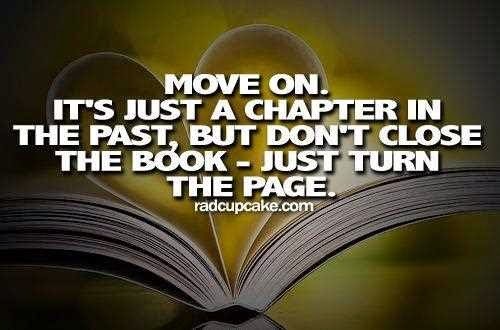 You too will want to move on. Yet there will be a struggle within you. And that struggle will make you feel miserable and suffer. You can go on suffering or you can seek closure and move on. There are two ways to seek closure – either by forgiving (even if you can’t forget) and moving on or by reaching out, resolving and moving on. But move on you must. Staying there, suffering in your own hurt, makes no sense. You may find this whole story absurd. I too was shocked when I heard it. But my friend’s attitude to seek closure – and not carry the resentment or grief in him – is remarkable. Reaching out, forgiving and seeking closure may seem difficult. But only until you have not tried reaching out or forgiving. If you let the hurt grow, it will consume you. You can never forget the pain of what has been done unto you, but closure does ensure that the episode cannot grow in proportion anymore. Anger, grief and guilt are always about a past event. Staying in the past will only keep you out of the now. And if you are not present – in the now – you are not living! The learning for each of us here, from my friend’s story, is that no matter what happens, no one can take away your choice to seek inner peace by reaching out, by forgiving – even if you can’t forget – and by moving on.